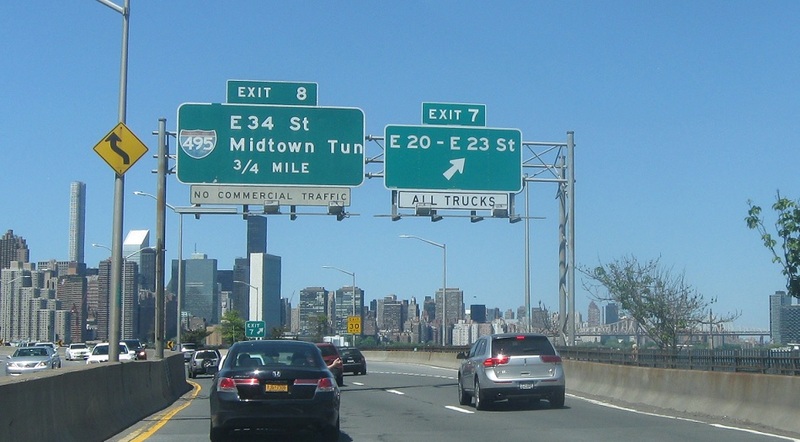 As FDR Drive begins, exit to follow local roads to the Brooklyn Bridge, visible in the background. 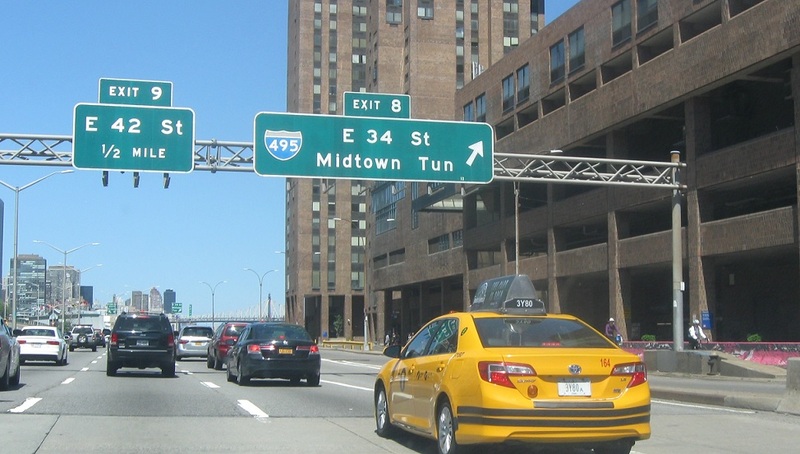 As we enter Midtown, we’re coming up on the access to the Queens-Midtown Tunnel. 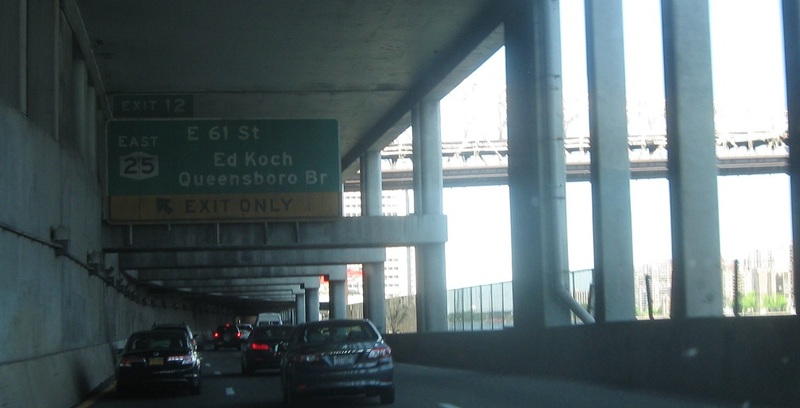 Keep right to follow 34th Street to the I-495 Queens-Midtown Tunnel. Exit to connect to I-495 and Queens. 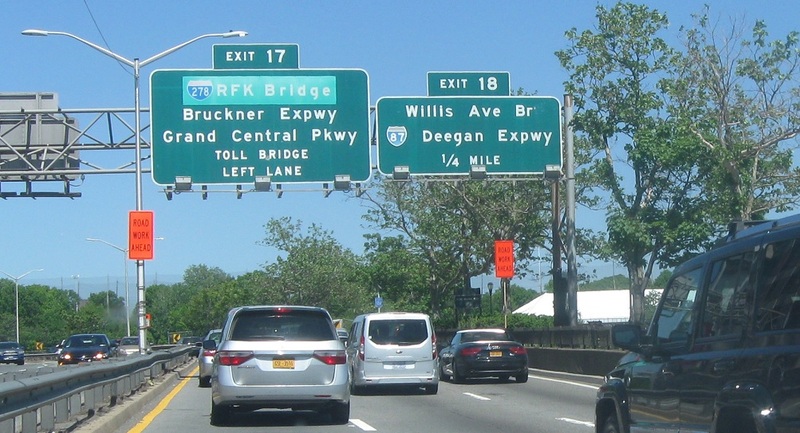 At the exit, we’re reminded to keep left for FDR Drive to the RFK Tri-Borough Bridge. 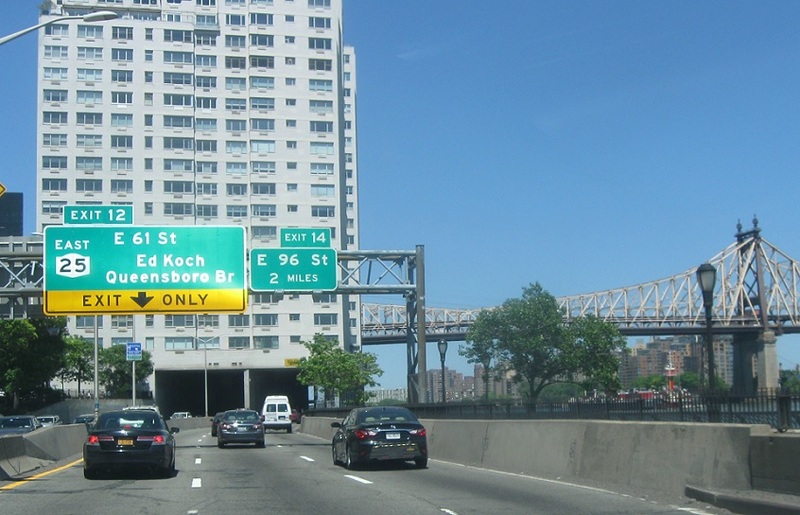 After the 495 exit, we’ll approach 61st Street, which connects to Route 25 and the Queensboro Bridge. Exit to connect to the Queensboro. 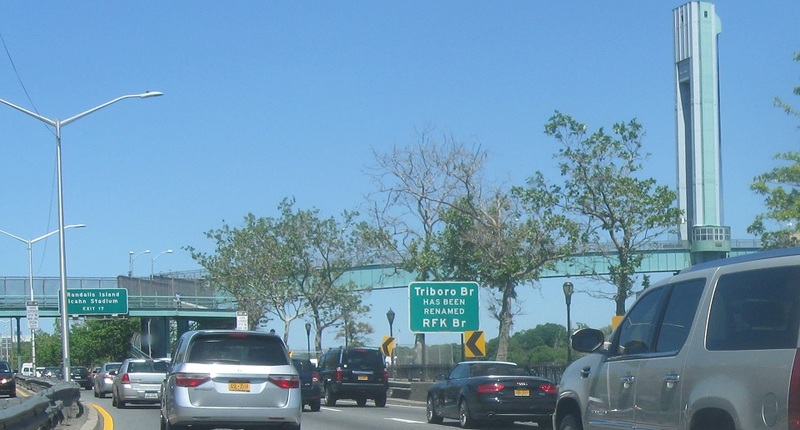 After 61st Street, we’ll start to come up on the Tri-Borough/RFK Bridge, which connects to the Bruckner and Grand Central Parkway. In 2008, the Triborough Bridge was officially renamed the RFK Bridge, in honor of Bobby Kennedy. 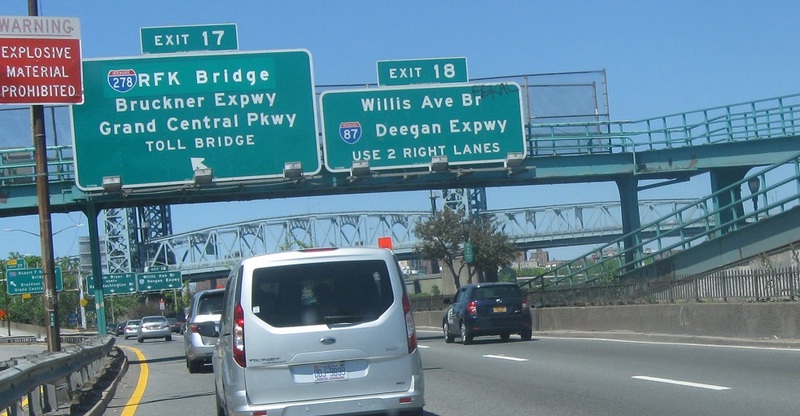 As we approach the RFK Bridge, exit first to get in the correct lanes for Interstate 87 via the Willis Ave Bridge. 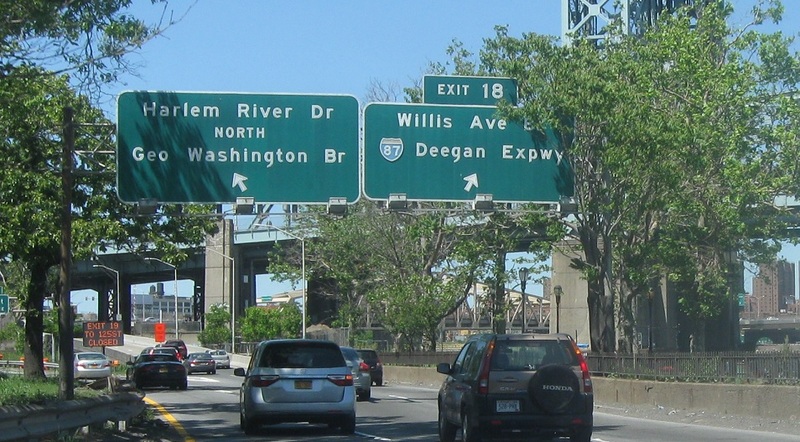 Keep right for the Willis Avenue Bridge to I-87 and left for the RFK Triboro to I-278. 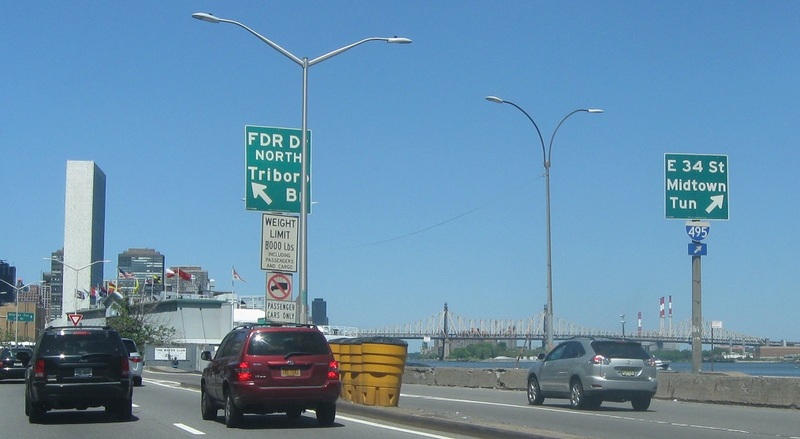 As the Triboro splits off, FDR Drive turns into the Harlem River Drive. 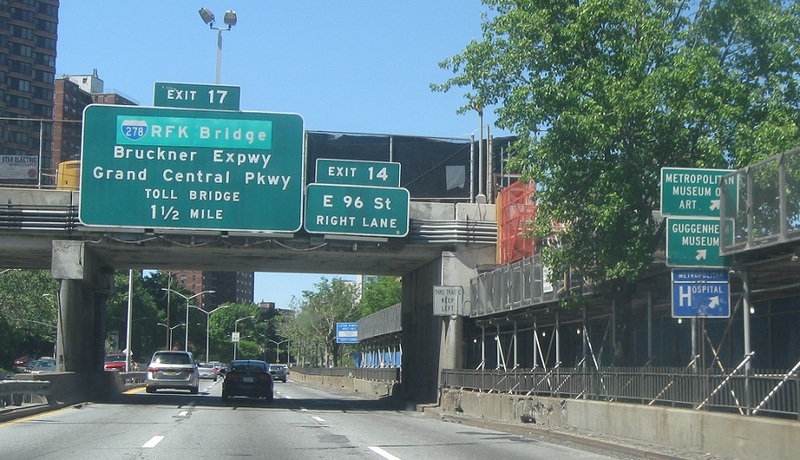 Keep right to access the Willis Avenue Bridge to I-87. 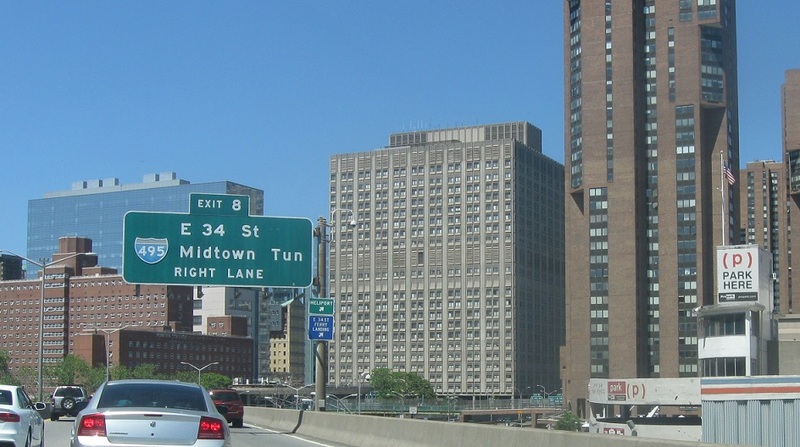 FDR Drive ends. 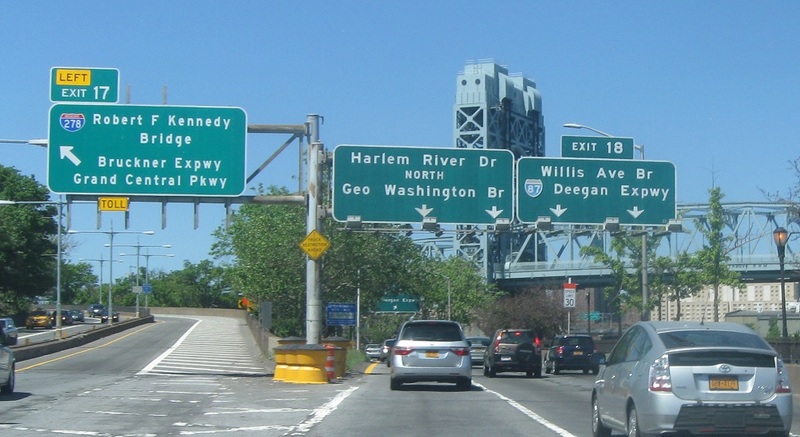 Keep left for the northbound Harlem River Drive.